Take care to guard against all greed. The sin of greed takes many different forms, all of which Jesus warns us to guard against. One particularly subtle and detestable form of greed is when the poor and defenseless are exploited by the rich for the sake of wealth or power. If we take a look at American history, we can see how there have unfortunately been times when our country fell into this terrible kind of greed. For example, for many years, thousands of African men, woman and children in our country were treated as property that could be bought and sold. Their humanity was denied in large part due to the sin of greed, a disordered desire for greater wealth. Also for many years, during the industrial revolution, thousands of underprivileged young children were basically slaves of the factory. In order to survive, these small children were forced to work long hours in mills under dangerous and unhealthy working conditions, for little pay. Many died in accidents or were maimed for life, due to this terrible kind of greed which oppresses the poor and defenseless. But thankfully, our country has learned to a great extent to guard against this type of greed. It is now illegal to enslave a man or woman of a different skin color than ours for profit. Industries are governed by strict child labor and workerâ€™s safety laws. It is to our credit that in these areas, our country has repented of its past offenses against the weak and vulnerable. But this kind of greed is something that we always must be on guard against, both individually and collectively. For this form of greed which exploits the poor literally blinds us, it makes us unable to see that the people we are exploiting are equal in dignity and worth to ourselves. This kind of greed to a large extent blinded the slave owners and much of the rest of our country from seeing the humanity of the black man. This kind of greed blinded the factory owners and others from seeing the humanity of the lower class child. And an even more subtle form of this kind of greed, my brothers and sisters, is beginning to blind many in our country from seeing the humanity of a new group of humans. More subtle because people want to exploit these human beings not for the sake of money but for the more honorable sake of scientific knowledge. As noble as the goal they are trying to achieve truly is, their desire to achieve that goal through exploiting human life puts them in the same category as the plantation and sweat shop owners of old. The group of human beings many today are becoming blind to are human embryos created in laboratories. This past Tuesday, the son of late former U.S. President, and a certain Rhode Island U.S. Congressman both spoke at the National Democratic Convention in support of embryonic stem cell research. While they spoke at a political rally, both speakers emphasized that stem cell research isnâ€™t about partisan politics. They are right at least on that one point. But when they argue that, out of compassion for the sick and suffering, we should allow scientists to destroy human embryos for their stem cells, they are totally wrong. In his speech, the son of the former U.S. President alluded to his belief that such research would be “for the good of all humanity.” No. Such research would certainly not be good for all humanity — it will destroy the humanity found in the countless embryonic human lives it kills. And as the saying goes, a defeat for part of humanity is a defeat for all of humanity. That statement was true in 1972 perhaps. But today, thanks to advances in science, we now know exactly when biological human life begins — it begins at fertilization. At fertilization, a human embryo has all the DNA it will ever have. If implanted in a womanâ€™s womb, the embryo wonâ€™t become a chicken or even an ape, it will become a baby human just like you and me. Excuse me, sir, itâ€™s a human being and deserves to be treated as such. Presently, the human embryos many scientists want government funds to destroy are those created through in vitro fertilization. Crudely put, in vitro is when a manâ€™s sperm and a womanâ€™s egg are fertilized in a petri dish. 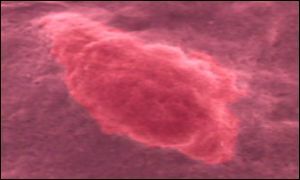 This newly created embryo is then implanted in the womb of a woman who carries the baby to term. But each year, hundreds of human embryos created in vitro are instead frozen alive to inhibit their growth, because they are unwanted. While these human embryos donâ€™t have a face, each one of them has a biological mother somewhere in the world, and she has a face. Each one of these frozen human beings has a biological father, and he has a face. Each one of them have biological grandparents, and they have a face. And each and every human embryo also has a “brother.” And while Heâ€™s not a biological brother, He has the face and the name of Jesus Christ. And their brother Jesus once said to you and me “Whatsoever you do to the least of my brothers, you do to me.” That word least in Greek means “most insignificant.” Brothers canâ€™t get much more insignificant than human embryos. Yet whatsoever we do to even a tiny human embryo, we do to Jesus. While today there are hundreds of frozen living human embryos in laboratory freezers, the former president’s son didnâ€™t mention them. He spoke instead Tuesday about a kind of human embryo that will be created in the future, and treated with even greater indignity. The way these embryos are made makes in vitro look old fashioned. The human embryos he eagerly looks forward to seeing created and then destroyed are human clones. His impassioned speech in support of stem cell research was also a veiled speech in support of therapeutic cloning. The speaker talked of a “personal biological repair kit standing by at the hospital” “10 years or so” into the future, if only we start funding embryonic stem cell research today. But how will my “personal biological repair kit” actually be made? By making a clone of myself with the same DNA makeup as me, then killing him and using his stem cells to keep me from getting sick. Is this the ultimate oppression of the poor or isnâ€™t it? Certainly, everyoneâ€™s heart must go out to the two speakers and all who are daily affected by debilitating illness. Our country and us citizens should work hard to do all we can within moral bounds to find cures for things like Alzheimerâ€™s Disease. But God help us if we destroy innocent life in the name of compassion and scientific progress. It certainly is a great temptation to do just that however. Which is why Jesus in todayâ€™s Gospel warns us Take care to guard against all greed. Jesus is certainly pleased that we have finally abolished slavery and child labor in our country. But we still have a long way to go in recognizing the rights of unborn human beings. Our Holy Father, John Paul II, who has for years borne the Cross of Parkinsonâ€™s Disease yet continues to condemn embryonic stem cell research, gives all who suffer a great example of courageously resisting the temptation to devalue and violate any human life for the sake of oneâ€™s own well being. Mr. Congressman, that day you hope for will come about, but only if we create a culture which guards and upholds without any equivocation whatsoever the precious gift of human life. If we believe all human life is precious and sacred, our children will grow up to be men and women with a mission. They will become adults who will work and sacrifice in fighting against human sickness, suffering and injustice. And should they fail, they wonâ€™t quit until they have succeeded, because human life for them will be held sacred and inviolable. And succeed they will. But if we continue to live and to send a mixed message, that only some human life is sacred but other human life can be exploited and denied, then we will continue to create a self-centered culture where the rich and healthy care little about the sick and the weak. We will never achieve the scientific, intellectual, and artistic heights that could have been achieved had we created a culture that valued all human life from conception to natural death. I urge all Catholics, and all men and women of good will, to guard against and to reject strongly this subtle but certain form of greed and sin which is embryonic stem cell research. You are currently browsing the fatherwoolley.com blog archives for August, 2004.